A hit man entered the pastor’s home on June 12th, making him kneel down on the floor and telling him “you don’t know who you are messing about with”. The man then pulled the trigger on his gun, but it failed to fire, so he knocked the pastor unconscious and stole his wallet, before fleeing. “All I can say is that with the work we do as a church we have affected the activities of those groups involved in drug trafficking and also the organized crime. We are not sure what comes next,” said the pastor, whose name is being withheld to protect him. 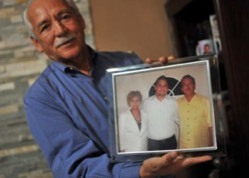 The attack came just days after the murder of fellow local pastor Eduardo Garcia. In recent years the number of violent deaths in Mexico has gone up dramatically. According to the National Institute of Statistics and Geography, in 2017 there were over 30,000 homicides in Mexico, the highest figure on record since the statistics were first collected in 1997. 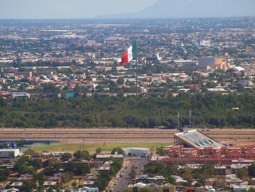 In cities like Ciudad Juarez, in the state of Chihuahua, one of the most violent places in the country, 80 per cent of the murders relate to the drugs industry. In June alone, there were 177 murders in Juarez, according to municipal authorities—that’s six a day.